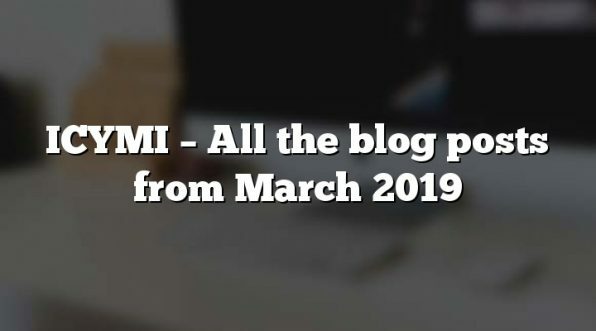 This week in my “SEO Wednesdays” article, I’m going to answer the question: “How on earth do I optimise the titles and description meta tags for my site when I’ve got hundreds of pages?” And the simple answer is …you don’t. At least, not unless you have a lot of time, budget and enthusiasm to spare. You just start with the most important pages on your site, and work from there. If you’re only able to do one page, at least it was the most important. So, firstly, what are the most important pages on your site? 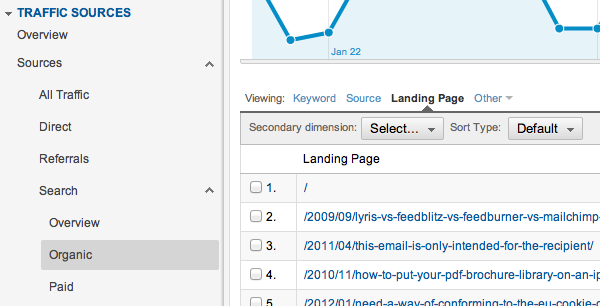 I’d suggest that you start by looking at your visitor analytics to find the pages which are visited the most. Then look at the traffic from Google, and see where it’s sending most people to (the screen shot below from Google Analytics shows where to find this). Finally, use a bit of common sense: you may have pages which are really important but which nobody appears to be reading. Maybe these could do with better SEO, and a good place to start is the title. The more of these categories a page appears in, the more it’s in need of regular attention. As a Google user, if I was searching for the term above, and saw that result, I’d be quite likely to click on it. Similarly, if I was Google, I’d be inclined to show that page in the results as being relevant to the search. And it was all done by writing that line as the page’s title, something which is totally under your control. All you need to do now (if you don’t know already) is to find out how to modify the title of a page in whatever system you use to design and maintain your website. Hello Chris and thanks for the regular supply of new thoughts and ideas. In this article your talk about pages, and in wordpress we also have posts: can I assume both terms are interchangeable in this respect?. 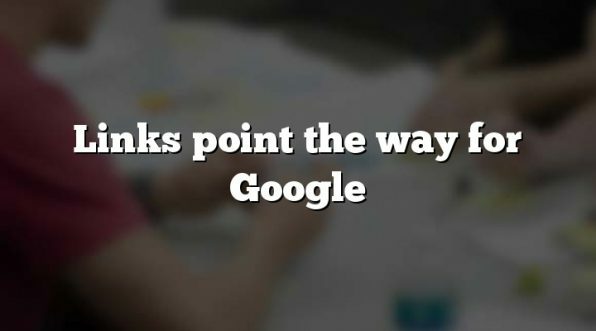 Do Google and the others differentiate between posts and pages when they index a site? Technically there shouldn’t be any difference, but despite WordPress “Pages” being probably more important on a B2B site using the system as a CMS, if anything I’ve found Google to prefer “Posts”. However, this could well be something to do with (a) the recency of publication, and (b) links to posts, which are often automatically generated. I think that with “Pages” you need to work on conventional external links.